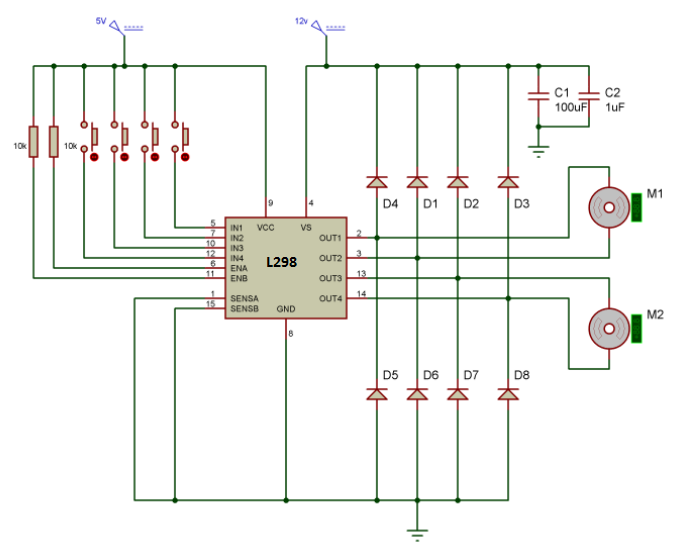 i want to use the shield without an arduino. I just want to connect the Motors and give a 5 V ttl on the pin 2. Interfacing with it is a bit more complicated but sure you can do it without an Arduino. 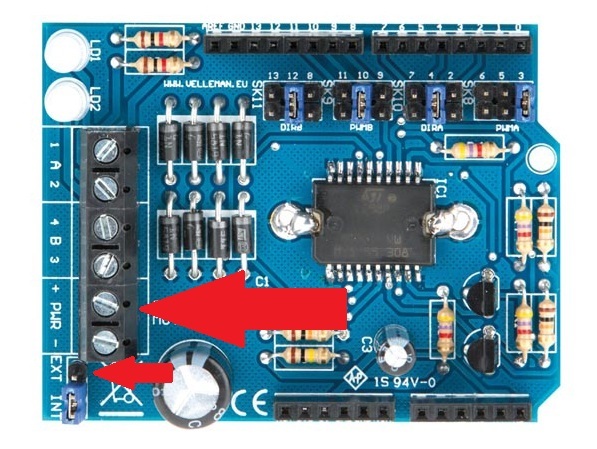 The problem is that i dont unterstand where i have to connect my wire at the arduino. i have a 5V Connection at the botton of the shield. Is this the 5V power supply for the IC? Okay.But from where comes the 5V from the arduino? Could they use the DC connector and set the jumper to EXT? i have also an question about tje VMA03. Is it possible to control a 24V stepper motor with this board? I want to use a 24V 1.8A Siemens LOGO power supply but is it possible? I didn’t try it but i want to be sure that nothing explode when i connect everything.